Agrimony herb has a great sunny disposition and growth habit of up to 2 feet high. Who knew an a simple herb plant like this one would have such good health benefits for us. Don’t confuse this splendid herb with another herb called Hemp-agrimony, an herb related to the Asteraceae family like the daisy or sunflower. Agrimonia, is commonly known as agrimony a special herb plant that has many medicinal uses that are still done today. A beautiful flowering herb that is a great perennial in any herb garden and is part of the Rosaceae family…roses are part of this family. Although this herb plant is native to Africa it still can be grown in many places throughout the Northern Hemisphere including some colder regions like Vermont. This perennial herb plant is best grown in a sunny spot or herb garden border. The thin, tapering spikes of the small yellow flowers are sometimes called ‘church steeples’. 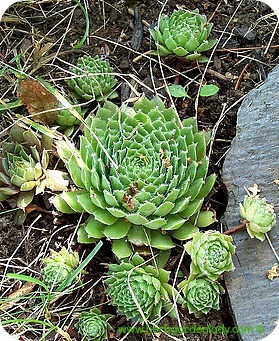 The green leaves are serrated and grow in alternate large and small pairs. The yellow flowers bloom throughout summer and give off an apricot scent. The tall yellow flowered spike can grow up to 2 feet in height. 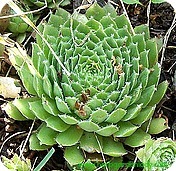 Grow the herb in late winter or spring using seed or if you can order the plant. When starting from seed the optimal time to plant is in late summer or early autumn in well-drained soil so it has the whole winter to get established with excellent results in the spring. This herb plant is useful to many beneficial insects like bees. What are the Medicinal Uses of Agrimony Herb? Agrimony in Anglo-Saxon times was grown as an important wound healing plant. It promotes clotting due to its high vitamin K content, which in turn helps to stop bleeding. Under your herbalist or naturopathic physician this herb plant is used internally for colitis, dyspepsia, food allergies, diarrhea, gallstones, cirrhosis, grumbling appendix, urinary incontinence, cystitis, and rheumatism. Used externally for sore throat, conjunctivitis, hemorrhoids, minor injuries, and chronic skin conditions. You can make into an apricot scented tea, infusions, pills, and tinctures. In the tradition of certain cultures agrimony was placed under a person's head and would induce a deep slumber that will last until removed. So, you could be sleeping for a long time and enjoy a good night rest. Cut the plants when they are flowering and avoid spikes that have developed spiny burs, and dry them for later use.